10 x 3 minute exposure at 800 ISO on August 15, 2008 from Beilen. Sky brightness according to the SQM was 18.6 magn./sq. arcsec. Click in the image for a full size version. Lots of background light due to the full moon! 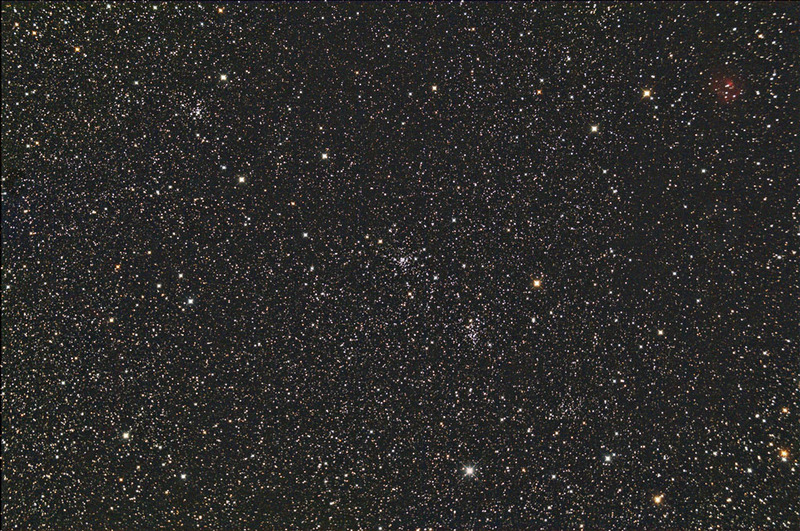 NGC7788 is in the middle, NGC7790 a bit lower to the right of 7788. The red nebula top right is Sharples 168. Modified Canon 40D, and a 20-cm (8") f/2.75 ASA Astrograph.